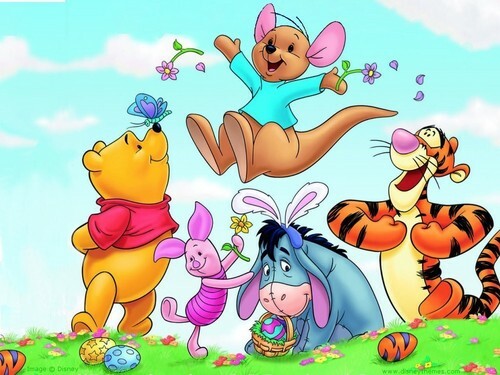 Winnie the Pooh Easter वॉलपेपर. Winnie the Pooh Easter wallpaper.. HD Wallpaper and background images in the विनी द पू club tagged: winnie the pooh eeyore piglet tigger roo easter disney holiday wallpaper. This विनी द पू wallpaper contains मोबाइल फोनों के लिए, हास्य पुस्तक, मंगा, कार्टून, एनीमे, कॉमिक बुक, and manga. *~*...anG cUte-cUte ni pOoh...!lOve it!